Well, the new year is upon us so I thought this to be the perfect time to look back at the films I saw in 2012. Below is a list from least favorite to favorite. I’m sure some choices will have people scratching their heads, but I do my best to explain my opinions. Also, Les Miserables isn’t on the list. I know. I haven’t seen it yet. Enjoy, leave your thoughts in the comments below and have a happy new year! Just because it’s last on my list doesn’t mean I didn’t take something from this film. While it may not have been everything I had hoped it would be, Vampire Hunter does have its high points. Too lengthy a build-up and some flawed execution detract, but there are moments of pure camp glee; most notably a scene in which a vampire starts throwing horses at Abraham Lincoln and they then stage an elaborate chase scene over the backs of the same stampeding horses. But in the end some fun moments can’t save this movie from the bottom of my list. 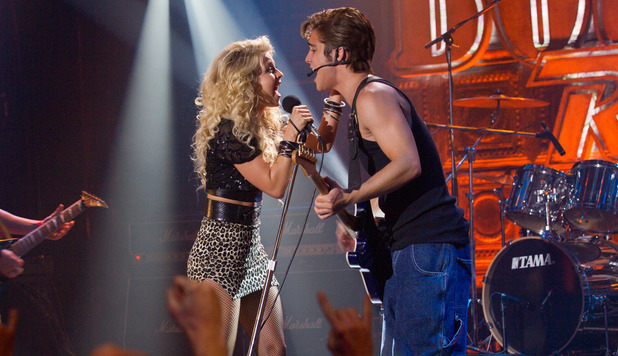 I actually enjoyed Rock of Ages when I saw it in theatres, but I think it was more because of the star-studded cast playing the Broadway musical that I loved so much. In retrospect the story didn’t translate well to the screen and became more of a playground for on-screen personas as opposed to the driving plot of two young kids trying to make it in LA. As fun as it was to see many of these people (Alec Baldwin, Tom Cruise, Paul Giamatti to name a few) in this style of a movie, in the end many were miscast and couldn’t carry the weight. Take a pass on this one and go to New York to see the Broadway musical. This one is the first disappointment of the list. I am a big fan of Aardman Animations work, but this one just fell a bit flat. I can’t say much more than that. It’s not a bad movie, but it falls down the list as I was expecting more. Here’s the thing: End of Watch was good. It might have been really good. Excellent performances and a rock solid script had me anticipating every twist and turn. The problem was the combination of shaky cam and found footage. It’s a personal thing for me, and this movie may deservedly rank higher on other lists, but I found myself queasy from the filming style and the extremely visceral gore on screen. Had this been shot differently, End of Watch may very well have ended up in my top ten. Described to my friends as the best movie I’ll ever be disappointed in, Prometheus is the unofficial prequel to Alien (1979) that we’ve been hearing about for years. In the end it turned out to be more Kingdom of Heaven (2005) Ridley Scott than Alien. 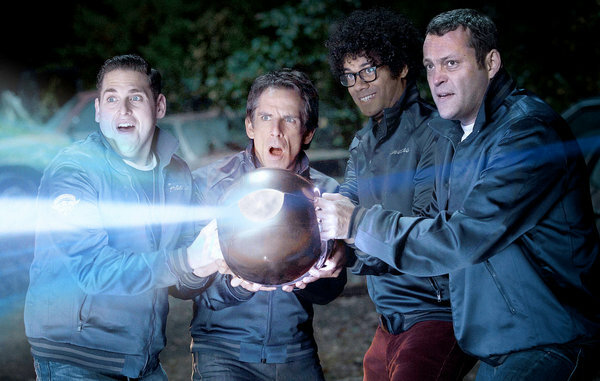 IT had some laughs, but it ended up being much of the same trope that Ben Stiller comedies tend to trot out. Predictable and full of plot holes, The Watch would probably be a fine rental for some easy jokes. I for one can’t wait for Quentin Tarantino’s next film, if for no other reason than he seems to be following every stellar film with one that is barely watchable. See the Kill Bill (2003/2004) duology which was followed by the poorly executed Death Proof (2007), which was subsequently followed by the incredible Inglorious Basterds (2009). Three years later we get a bloated opus full of character flaws (see when King Schultz completely inexplicably kills Monsieur Candie), lengthy periods of redundant verbose dialogue (see when the slaves explain to Michael Parks the entire plot of the movie we have just watched), and repeated examples of Tarantino’s blood as art (see any number of shots where blood is splattered on something white and delicate). Django plays as too much of Tarantino left to his own devices, and less of a strong film despite excellent performances from the cast. Unfortunately there is more taste of Death Proof than Basterds here. Seeing Will Ferrell and Zach Galifanakis as two small town politicians is enough of a concept to sell an 85 minute movie. The plot is a little weak but serves its purpose to move from seemingly sketch to sketch in a series of funny events leading to the election. This is a great example of a movie that new what it was and had the good sense to get out before it could wear out its welcome. How about another political comedy? Sascha Baron Cohen is back with an original character in a comedy that plays on our sensitivity to terrorism and the general protectionism of the USA right now. 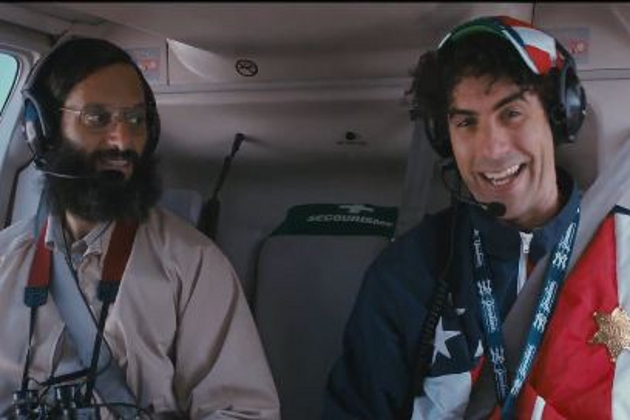 There’s nothing new here, but the film is a logical extension of Cohen’s Borat (2006) and is well balanced between ironic political humor and complete toilet jokes. If you liked Borat, then you’ll enjoy this one. Completely unnecessary remake, but a fun film overall. Emma Stone is fantastic as Gwen Stacy, while Dennis Leary and Andrew Garfield give solid if not exceptional performances. Subpar effects work detract a bit, but it’s a solid entry into the superhero genre. The Hunger Games did exactly what it should for me: entertain me enough with fast action, witty dialogue, and strong performances to hook me into the series. While I wasn’t blown away, I’ll be back on the next opening night to see the next film. Paul Rudd and Jennifer Anniston are well paired as a couple who have to live on a commune while they try to get back on their feet. I’ve long been a fan of the work of David Wain, and he has another solid and funny film here. Great performances from Justin Theroux, Malin Akerman and the always hilarious Joe Lo Truglio round out the film. It’s been a while for a really good traditional horror film, so I was pleasantly surprised by The Woman in Black. Daniel Radcliffe is solid in the lead and the filmmakers do an excellent job of balancing suspense and actual scares. It follows my cardinal rule of horror films: don’t explain the villain. You only need to know the villain is out to get you, and sure enough The Woman in Black ends with the woman still haunting and killing. Remakes are always a hard sell, but the exceptional performance of Channing Tatum in this film makes it a great comedy. I knew Jonah Hill could pull off the film, but Tatum was surprising in his comic timing. Fun jokes and the surprising reveal of this as a sequel instead of a remake keep this one feeling original. Lawless is a fun ride with prohibition-era rumrunners in Virginia. Shia LaBeouf may be the star, but Tom Hardy steals the show as the eldest brother who is rumored to be invincible. Some moments feel a little cheesy, but the film wins over the audience with a strong Romeo and Juliet scenario while also building its own legend of the rumrunners. 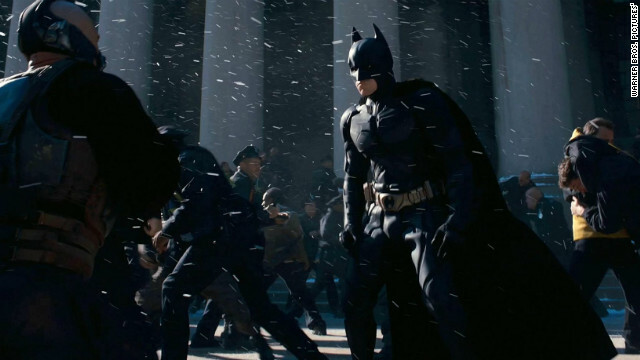 A fitting cap to the Christopher Nolan films, The Dark Knight Rises is not without its problems. Pacing issues, questionable motives, and a very dubious ending make this the weakest film in the franchise, but a must see to finish the trilogy. The very original and nostalgic Wreck-It Ralph is entertaining for the entire family. Well cast and solidly (albeit simply) written, this is a night out that everyone can get something out of. My personal highlight was the performance of Sarah Silverman as Venellope Von Schweetz. Some have complained of The Hobbit‘s simplicity but, based on the source material, I find it to be a fun adventure. Clocking in at nearly three hours, it is too long and the filmmakers have added in more material than necessary for the short book. But it has to be a trilogy and, once you get past that, an excellent score and the lovable Martin Freeman as Bilbo carry the film. The return of Gollum to the big screen is also a crowd pleaser. Original and well thought out, this time travel tale overcomes the use of cheesy face prosthetics on Joseph Gordon-Levitt to give a fun sci-fi flick. They gloss over the time travel so that it isn’t an issue as it becomes for many time travel films, and the play of Levitt against Bruce Willis is fun to watch. This is the blockbuster recovery that Bond fans were hoping for after Quantum of Solace (2008) missed the mark. Daniel Craig is as perfect as ever and the film brings an exciting close to the trilogy that began with Casino Royale (2006). Skyfall treads a lot of new territory into this grittier Bond, but also harkens back to some of the history that has brought Bond to this point. The reveal of the Aston Martin with the ejector seat brings a smile to the face of every bond fan, and the casting of Ralph Fiennes as Mallory leaves plenty of hope for the direction this series is heading in. As one who dosen’t normally go for the lengthy, epic film, Lincoln blew me away. The man is masterfully portrayed by Daniel Day-Lewis, and Day-Lewis is masterfully directed by arguably Hollywood’s most celebrated filmmaker in Steven Spielberg. Janusz Kaminski returns to shoot this beautifully crafted tale of Lincoln’s life, while a well-penned and self-admittedly heavy script from Tony Kushner seems to fly by in the blink of an eye. A lot of why this film ranks so highly on my list has to do with hype. A movie that had taken years to develop and was previewed piece by piece in other Marvel films had a lot to live up to. Under the watchful hand of Joss Whedon, this film did just that and more. Well written, well performed, and never taking itself too seriously, The Avengers is a fun summer tentpole film that others will be trying to live up to for a while. There is no doubt about it, Argo represents the finest in filmmaking this year. An incredibly original story along with Hollywood’s new wunderkind director Ben Affleck, Argo is paced perfectly and works on every level. Comic relief comes when it needs to, and is never too over the top to detract from the serious story. Affleck in the lead is also excellent, along with John Goodman and Alan Arkin. That’s 2012 as I saw it. Do you agree? Let me know in the comments below. Happy new years to everyone! Zac Hogle is a writer/director who has worked on several nationally broadcast series and documentaries. You can follow him on Twitter at Twitter.com/zhogle.